In this lesson, we will take a look at how we can install and start using the R programming language on Ubuntu 18.04. R is an excellent open-source graphical and statistical computing programming language and is one of the most used programming languages after Python for Data Science and Machine Learning, used with one of the best tools, Jupyter Notebooks. We will start by installing the R programming language on Ubuntu 18.04 and continue with a very simple program in this language. Let’s get started. > helloLinuxHint <- "Hello World"
helloLinuxHint <- "Hello from the script, World!" Now, you're ready to write your own R programs. Some things which make R more useful is the availability of many statistical products which creates excellent output for business use-cases which we will discover in coming posts. 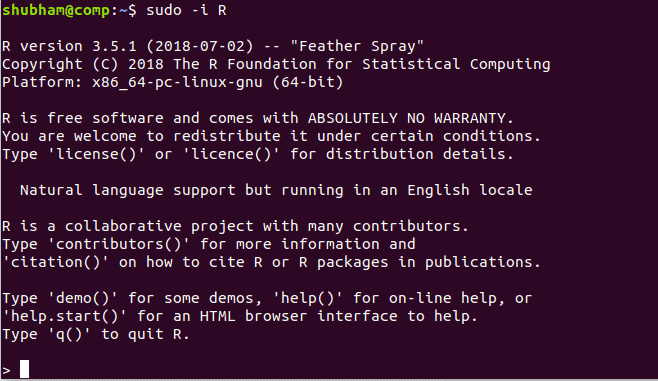 In this lesson, we studied how we can install and start using the R programming language on Ubuntu 18.04 with very simple programs in the language. This is just a very simple introduction of many lessons to come with the R programming language. 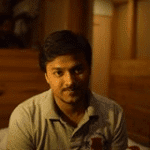 Share your feedback for the lesson with me or to LinuxHint Twitter handle.